We have our editing team writing up good material for this campaign to work, after we play and test it for a whole year we will have campaign books made and then share it to the world if we all like it. Rules of this hobby progress - terrain and armies must be fully painted and must have been at the Armageddon 3rd War. Now if you don't want to start an new army just help out with terrain, or just show up the days of the campaign to watch and help if needed. But this will only work with everyone working together. People will have extra armies as well for people to use but painting and working on your own stuff is really the whole part of the hobby progress. 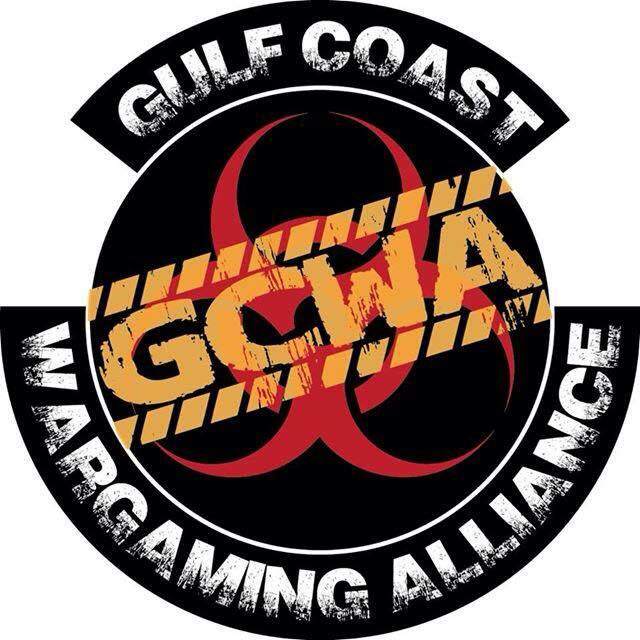 Tons of pics, hobby building videos, and Video Battle Reports will be done on this and will be posted on the clubs pages. I will post up what army or armies you are working on for this hobby progress and terrain and put your names next to it as either a completed army or a Work in progress army so we can keep track of who has what for mission writing. Multiple people can have the same armies it means the armies will have more of a showing in the videos. Please post up if you have any questions and this is gonna be a blast and a fun way for all of use to work towards a large campaign that the club can have their name on to share to the world after we complete it. First make a thread and name it something like: Hinkel's Armageddon 3rd War HPC. Post photos at the beginning of the month showing the condition of the models or project. While you are completing your project take photos and write a quick post about progress. At the end of the Calendar month finish your project, post photos or videos of your completed project and get ready for the next month. This is meant to be a fun way of helping you finishing your hobby projects! At the end of the year we will have award a prize for the best thread or best project. Have fun and we cant wait to see your progress. I have a Blood Angel army ready to go. I will have Blood Angels, and IG. I will have to check what I have to do then I will make a more detailed post! This campaign will get me off the bench and back in the game! AArdvark085 wrote: I will have Blood Angels, and IG. I will have to check what I have to do then I will make a more detailed post! This campaign will get me off the bench and back in the game! dont you have space wolves as well carl? Mike Miller has a painted ork army. You might be able to get him to come over. You could also ask the HUB city guys if they have any ork players. Dr. Hans Zarkov wrote: Mike Miller has a painted ork army. You might be able to get him to come over. You could also ask the HUB city guys if they have any ork players. This is AArdvark on Hinkel's computer and I am going to be building a Raptor Army for this campaign! Speeders, Bikes and Jump Troops for the win! Is Justin still putting orks together? Dr. Hans Zarkov wrote: Is Justin still putting orks together?